Indexed: Complete collection is available online. 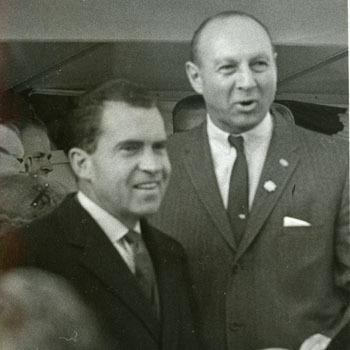 Photographs of Edwin G. Michaelian, County Executive from 1958 to 1973, from childhood to the dedication of the Michaelian Office Building in 1984. 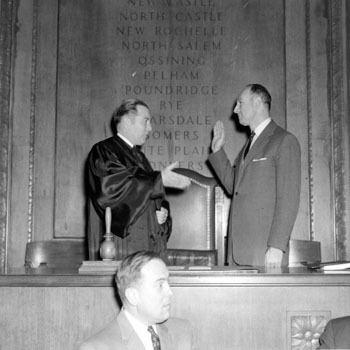 Includes many images of municipal and county officials and dignitaries, as well as photographs of Mr. Michaelian's activities as Mayor and Councilman of White Plains. See also the Michaelian Papers in the Archives (Series 25 through Series 31).